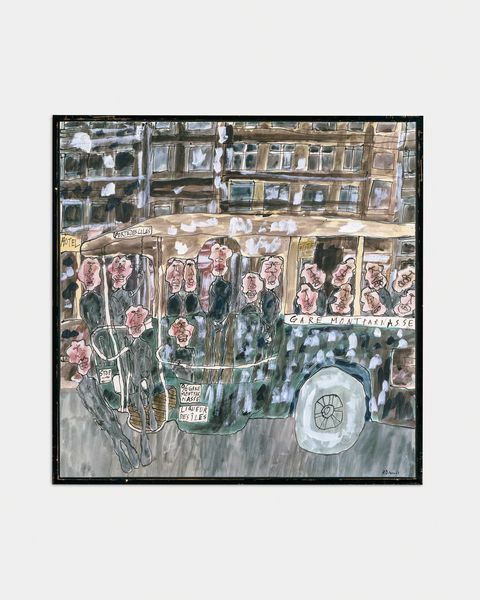 Hauser & Wirth Zürich is delighted to present ‘Jean Dubuffet and the City’, an exhibition dedicated to the seminal post-war European painter and sculptor, and his lifelong fascination with urban space. Curated by Dubuffet specialist Dr Sophie Berrebi, with the Fondation Dubuffet contributing research advice, this is the first presentation that focuses on exploring the role of the city in Dubuffet’s four decades of artistic accomplishments, highlighting the artist’s shifting depiction of urban characters, and the visual and experiential dynamism of Paris that influenced his work. 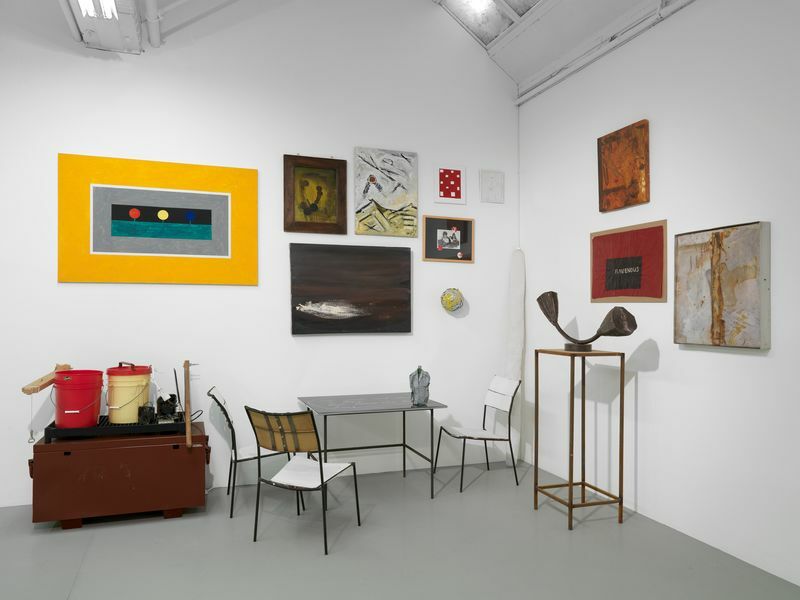 The exhibition features over 50 important paintings, works on paper, architectural and sculpture models – including works from series such as the Marionettes de la ville et de la campagne (1943 – 1945), Paris Circus (1961 – 1962), L’Hourloupe (1962 – 1974) and Théâtres de mémoire (1975 – 1979) – which are displayed thematically to demonstrate the artist’s continuous and nuanced engagement with the city. 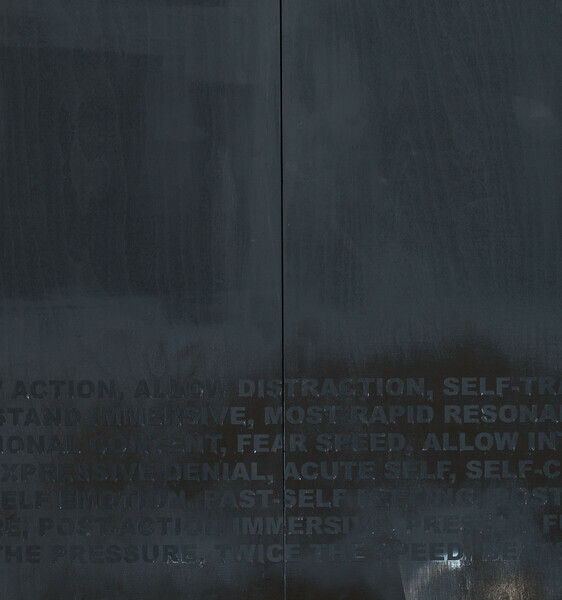 To highlight the recurrence of these themes and motifs, the presentation is organised in three parts. The first room, ‘City Dwellers and Urban Types’ brings together depictions of passers-by and urban wanderers painted from the early 1940s to the early 1980s. 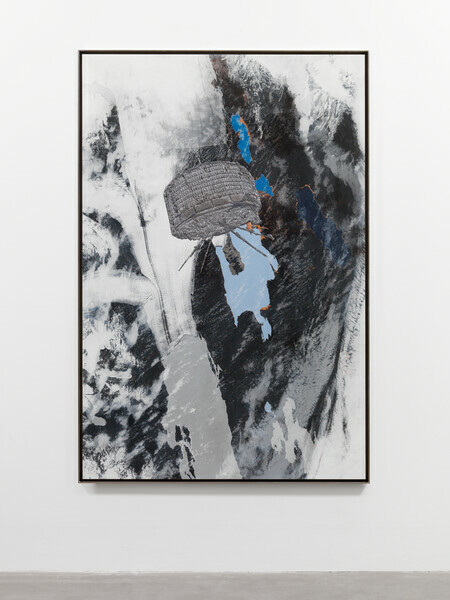 The juxtaposition of works executed in vastly different styles makes it possible to identify unexpected convergences between them. The haunting, almost translucent ‘L’Homme aux Cocardes’ (1952) which depicts a figure as both a hero and an idler, contrasts with the energetic ‘Rhéteur au mur’ (1945), while the quizzical yet monumental ‘Le citadin’ (1974) has an affinity with the rarely seen ‘Petit Hurleur’ (1944). In this first section of the exhibition, individual figures alternate with visions of crowds and with pairs of figures, of which two similar paintings from the L’Hourloupe series are exhibited together for the first time: ‘Main leste et rescousse’ (1964) and ‘Époux en visite’ (1964), on loan from Tate and Fondation Gandur respectively. The second part of the exhibition is entitled ‘City Views and Imaginary Networks’ and features paintings from the Paris Circus series that depict the busy streets of the French capital at the beginning of the 1960s, a moment when Paris stood on the brink of modernisation. The quaint shop fronts, facades and bustling traffic of ‘Maison Fondée’ (1961) powerfully conjures up this divergence of old and new. The Paris Circus works are interspersed with huge, complex paintings from the Théâtres de mémoire series in which Dubuffet replicates the dynamism of the city through juxtaposed scenes, images of places and moments. Dubuffet’s extraordinary models for sculptures and utopian architectural structures feature in both the second and the third section of the exhibition entitled ‘Sites and Architecture’. Three key works on loan from Fondation Dubuffet, Paris reveal the artist’s interest in the fabric of the city itself and his consideration of the built environment: ‘La Rue’ (1971 – 1974), ‘Le Cirque’ (1970), ‘Rues et Immeubles de la ville’ (ca. 1969). The notion of site, which predominates in the titles of Dubuffet’s later works, invites viewers to pause and consider the urban space around them, in the manner of the pensive figures in the work ‘Site aléatoire avec deux personnages’ (1982). Two compelling works dating from 1957, ‘Chaussée grise’ and ‘Chaussée urbaine mouillée’ both depict, with dizzying effect, the pavement under our feet inviting closer scrutiny of the very fabric of the city. 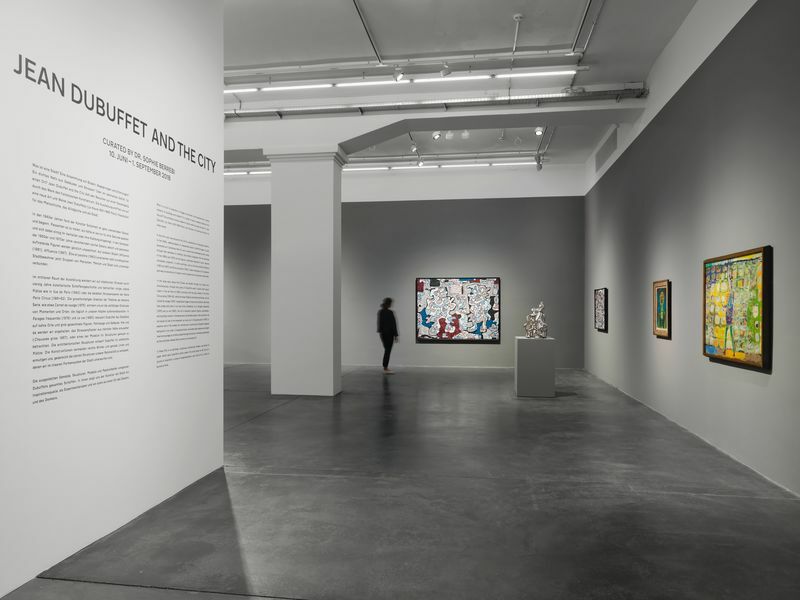 The discovery of Dubuffet’s shifts in vision, from representation to imagination and from evocation to construction of an urban imagination allows for a renewed understanding of the artist’s oeuvre and the significance of the city. Dr Sophie Berrebi, Associate Professor (UD1) at the University of Amsterdam, is an art historian specialising in the work of Dubuffet and in contemporary art. 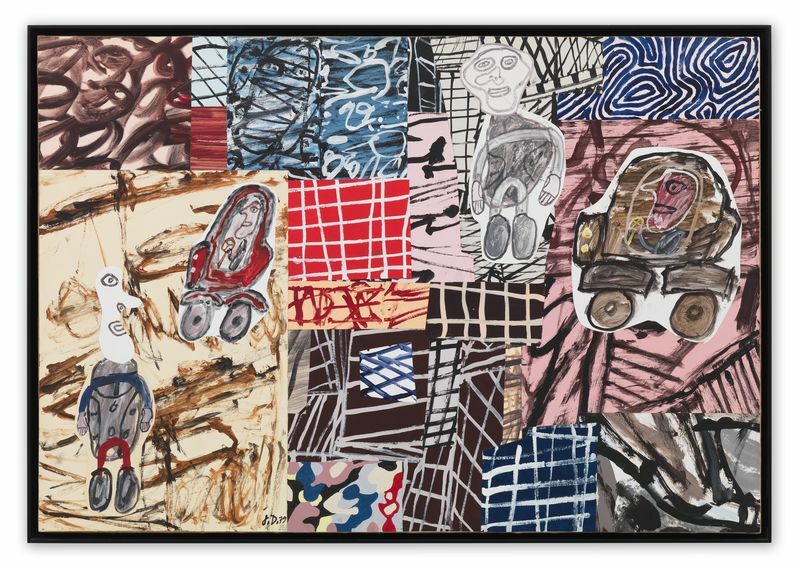 She most recently curated the 2017 exhibition ‘Jean Dubuffet: The Deep End’ at the Stedelijk Museum, Amsterdam, Netherlands. 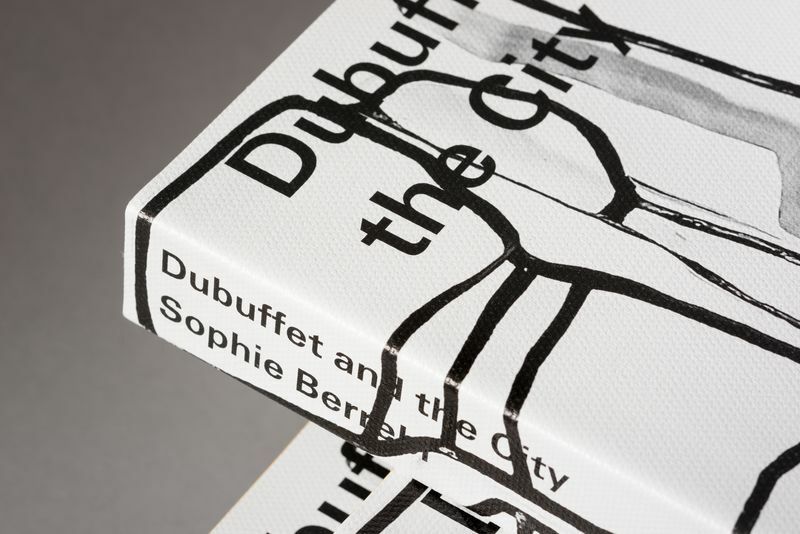 An extensive scholarly publication, entitled ‘Dubuffet and the City. People, Place and Urban Space,’ researched and written by Dr. Berrebi and edited by Hauser & Wirth Publishers accompanies the exhibition. This includes reproductions of the works in the exhibition, several texts by Dubuffet translated into English for the first time, and archive material from the Fondation Dubuffet. The book proposes a rich iconography of both the artist and the changing face of Paris in the mid 20th century. Jean Dubuffet (1901 – 1985) was a French painter and sculptor and is considered a master of European Modernism. Born to a wine merchant family in Le Havre, France, Dubuffet moved to Paris in 1918 to enrol at the Académie Julian and become a painter. After attending classes for six months he ceased his studies to work independently. Two attempts at starting an artistic career in the 1920s and 1930s were thwarted by the need to work in his family’s wine business. 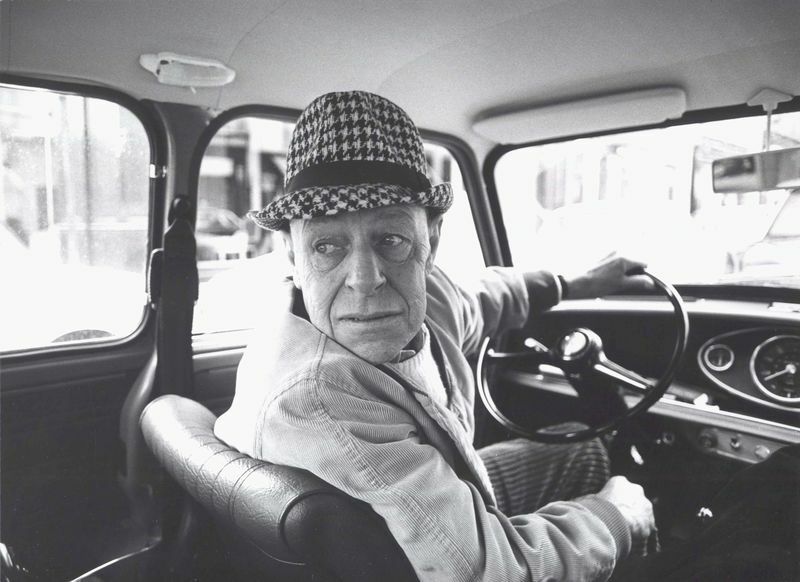 Dubuffet fully dedicated himself to making art in 1942. Jean Dubuffet’s work is marked by a reaction against prevailing notions of high culture, beauty, and good taste. Over four decades he was both prolific and experimental, expressing his creativity in many forms including writing and music. 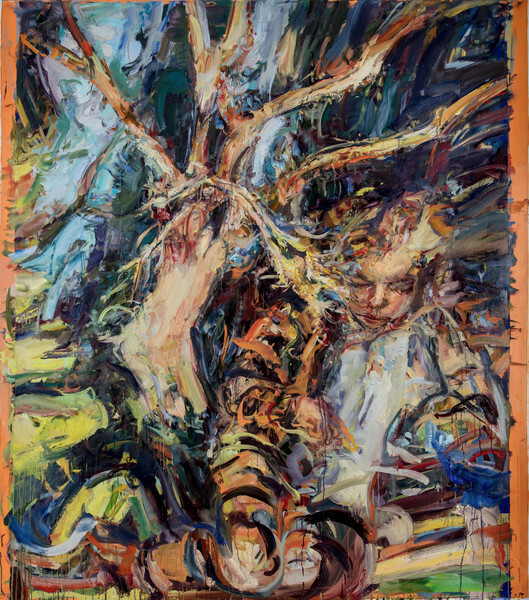 He used a diverse range of art-making techniques, including painting, drawing, printmaking, large-scale outdoor sculpture, and works bridging painting, sculpture, dance, and theatre featuring live performers. For a time in the 1940s and early 1950s he painted using an impasto thickened by unorthodox materials such as sand, tar and putty, giving the work a highly textured surface. His resulting paintings were at once provocative and well received in Europe and the United States where they were exhibited alongside Picasso, Braque, and Rouault by the influential dealer Pierre Matisse. Known for his founding of Art Brut, or ‘raw art’, Dubuffet championed an aesthetic which referenced outsider art created by individuals working independently of formal training or living in isolation from society. 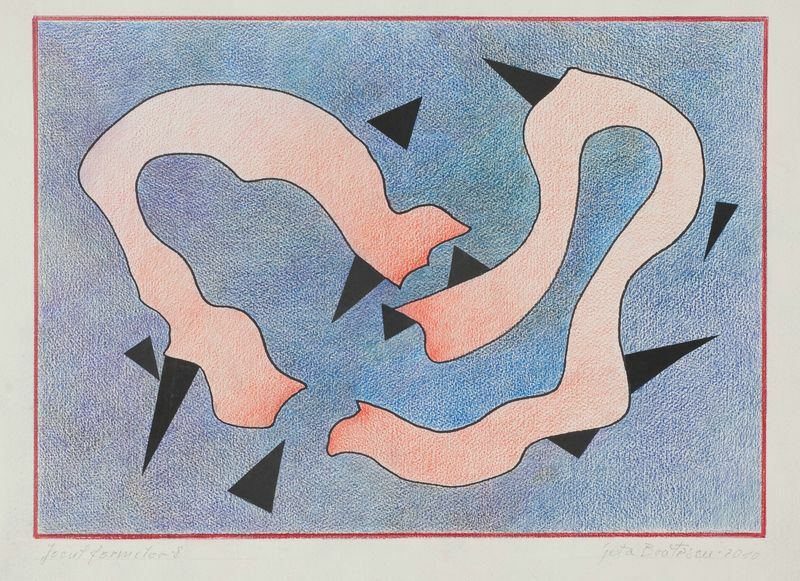 In June 1948, Dubuffet, along with Jean Paulhan, André Breton, Charles Ratton and Michel Tapié, officially established La Compagnie de l’art brut in Paris. In the long cycle named ‘Hourloupe’ (1962 – 1974), Dubuffet deployed a radically new, graphic style which he used to make architectural models and sculptures in expanded polystyrene which was subsequently cast in epoxy resin. The artist died on 12 May 1985 in Paris, France. The exhibition ‘Jean Dubuffet. 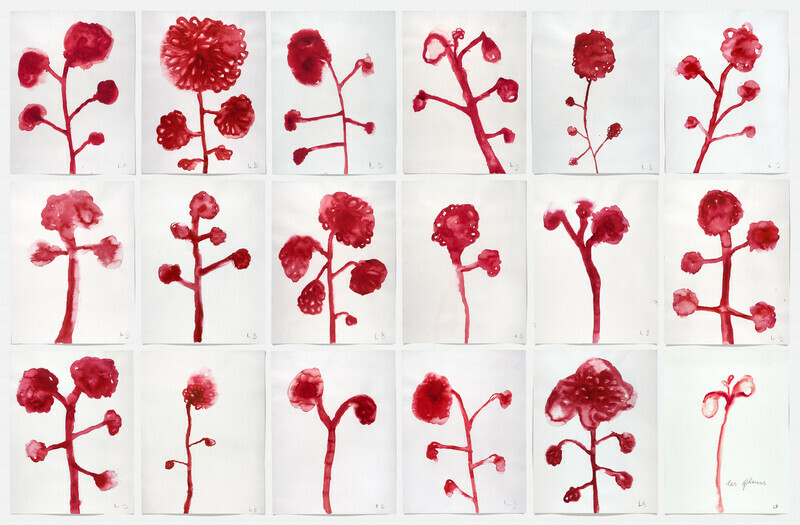 L’outil photographique’ is at the Musée de l’Elysée in Lausanne from 30 May – 23 September and presents the first study of the photographic collection at the Fondation Dubuffet.